ULTRA SEAL® XP is a blend of specific micro-sized cellulosic fibers combined with a blend of organic polymers and lubricity enhancers that are designed to aid in the control of fluid losses to the well bore, as well as to promote the anti-friction characteristics of a drilling fluid. ULTRA SEAL® XP seals off low pressure zones, which in turn reduces the rotary torque and drill string drag present in differential pressure environments. 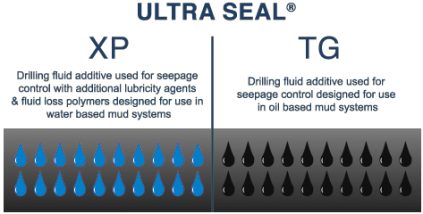 ULTRA SEAL® XP is coated with a mineral oil, and compatible with both OBM and WBM systems. Loss Circulation Material: Helped seal off sections of the hole that were losing partial mud returns. Torque and Drag Reducer: Has reduced torque and drag in high angle holes across sand zones. 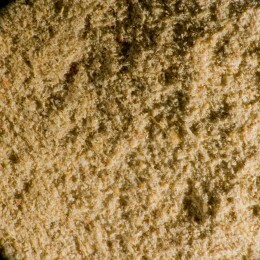 Sealing Depleted Sands: While drilling depleted sands and having differential sticking problems, Ultra Seal® XP and Ultra Seal® C helped seal those sands and prevented sticking. Differential Sticking Prevention: For excessive torque and drag, sweeps of 8-25 lbs/bbl of ULTRA SEAL® XP is recommended. For extended intervals, ULTRA SEAL® XP can be added system wide in concentrations of 4-8 lbs/bbl. Seepage Control: Sweeps of 12.5-25 lb/bbl of ULTRA SEAL® XP combined with up to 12.5 lb/bbl ULTRA SEAL® C is recommended. 25 lb sacks, 48 per pallet.